The Honorable Jonathan Lippman, former Chief Judge of New York and Chief Judge of the New York Court of Appeals, the state’s highest court, is Of Counsel in the New York office of Latham & Watkins LLP and a member of the firm’s Litigation & Trial Department. He provides strategic counsel to clients on New York Law and appellate matters nationwide and is a leader in the firm’s pro bono practice. 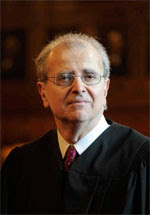 Judge Lippman served as Chief Judge of the State of New York and Chief Judge of the Court of Appeals from February 2009 through December 2015. Judge Lippman presently serves as the Chair of the Independent Commission on New York City Criminal Justice and Incarceration Reform, a 27 person blue ribbon commission, formed to examine the future of the Riker’s Island jail facilities in the context of systemic criminal justice reform.